If you think letting go of a person you really loved is really hard, but if that person always break your heart its better to say Goodbye. Here's a collection of Goodbye Quotes Sayings. If you have your own favorite Goodbye Quotes and Sayings, we would love to hear it, just add a comment below or email it to us with a subject: goodbye. Enjoy! Hope you'll like it! Trying to forget someone you love is like trying to remember someone you never even knew. Why do we always say goodbye when we’ll always meet again in the end? I didn’t think that when you said goodbye you meant it ……because how could you say goodbye to something you claimed you loved? 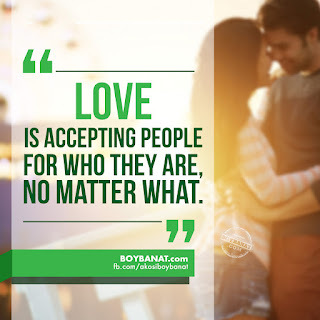 Sometimes to someone you love you wanna say goodbye.but you cant get the words out.because in your heart saying goodbye would just be a lie. He say goodbye to you and then you run from love but running from love islike you’re running to him but he is not there at the end. I’ve always looked forward to the times we’d meet. I guess I can only look back from now on…Goodbye. 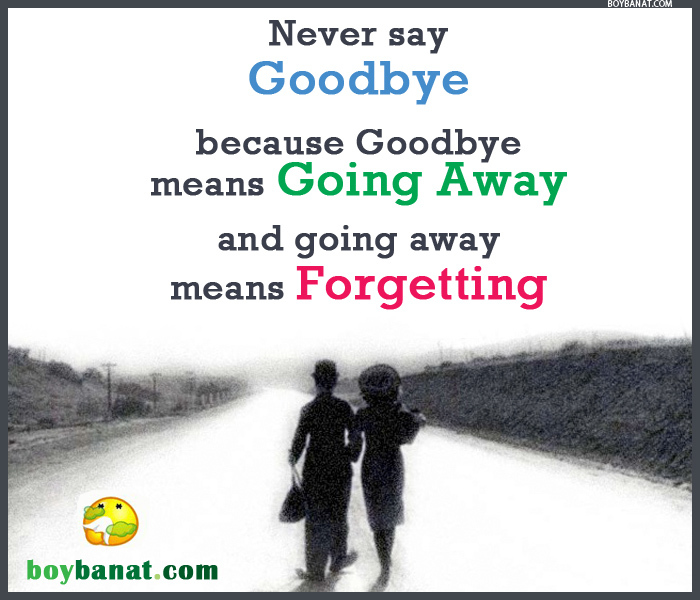 Never say goodbye, because goodbye means going away and going away means forgetting. I have learned that goodbyes will always hurt, pictures will never replace being there, and pictures, just like memories will always fade away, until you’re left with nothing. 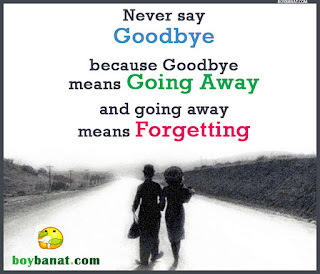 You can never say Goodbye to your lover as your beloved one will always be heart and thoughts. Better an ending with pain than a pain without ending. The way it was so hard for both us to say goodbye shows how great thememories we took for granted actully were.